On Tuesday, dozens of union members from across the state gathered in Salem for the 2019 Oregon AFL-CIO Labor Lobby Day. 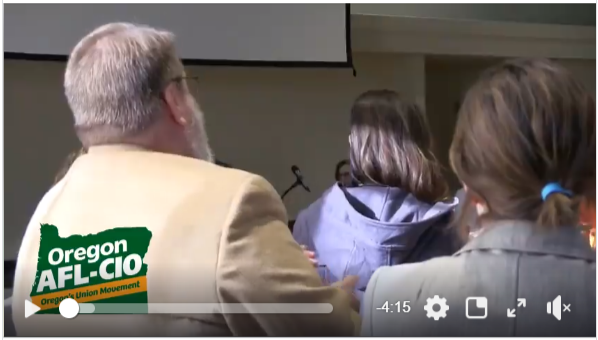 We were joined by Oregon Governor Kate Brown, Oregon Labor Commissioner Val Hoyle, House Speaker Tina Kotek, and State Senator Kathleen Taylor. Union members met with their legislators to discuss a wide range of legislation to help build a pathway to prosperity for working people in Oregon. We are thankful for each and every member who took time out of their busy week to join us in Salem, and to the advocates and leaders who joined us for our panel discussion to brief participants on a wide range of exciting legislative priorities. SHARE YOUR STORY: The voices of victims of sexual harassment and discrimination must be heard by lawmakers. The Oregon Workplace Fairness Act (SB 726 / HB 3333) has had a hearing in the Senate Workforce Committee but we need to keep pushing to make sure this important bill becomes a law. Please share your story today, either anonymously or under your name to help pass this important legislation. TAKE ACTION: It’s time to speak up and help pass the Oregon Workplace Fairness Act, a bill which modernizes sexual harassment and discrimination protections to put the power into workers’ hands. Take action today and write your legislator. SUPPORT PAID FAMILY MEDICAL LEAVE: Oregon lawmakers are considering House Bill 3031, the FAMLI Equity Act. It is long past time that Oregonians have paid family and medical leave, and this could finally be the year lawmakers level the playing field so that all workers can give or get the care they need without risking their financial stability. That’s why we need you to be part of our fight. Join us and Time to Care Oregon at a public hearing on the FAMLI Equity Act. 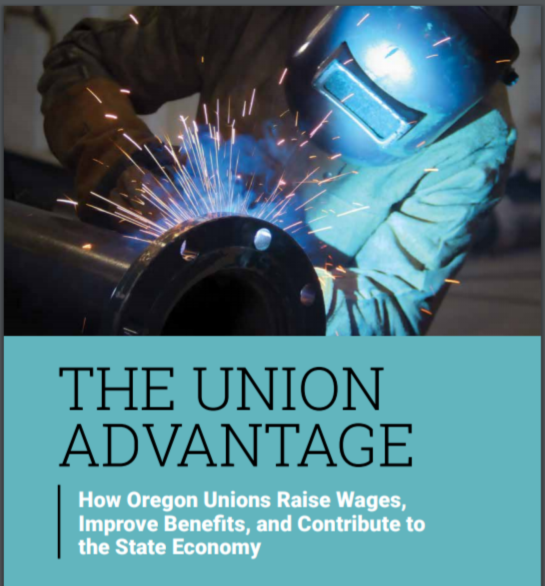 A new report from the University of Oregon’s Labor Education and Research Center shows that unions in Oregon raise wages, improve health and pension benefits, reduce overall income inequality, and significantly decrease racial and gender inequalities. Oregon unions also make it much less likely that workers will need to rely on public benefits such as food stamps or welfare. Being covered by a union contract adds an average of $4,701 per year to each worker’s annual income. The authors estimate that unions increased the overall income of working Oregonians by a total of almost $1.4 billion in 2017. Click here to download "The Union Advantage." 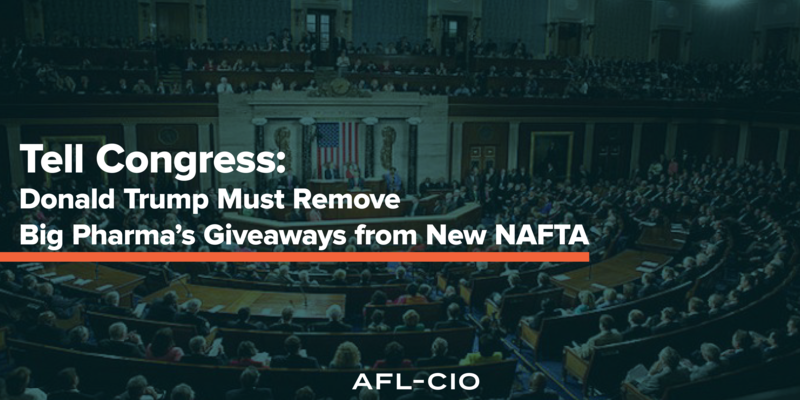 It’s not just about us—a better NAFTA could protect working people in the United States, Canada and Mexico by guaranteeing decent wages, reining in high drug prices, ensuring the freedom to join a union, and by standing up to corporate greed. Take action today.